A group of strangers have built a friendship on a Seattle Metro bus. The group, known as the “Back of the Bus Club”, formed 25 years ago, its member’s complete strangers sharing one thing in common: a King County bus route out of Burien on the number 132 bus. One of the members, Jim Canterbury, tells that the friendship began with simple conversation. “We just started conversing and talking,” he said. In one conversation 25 years ago, Canterbury mentioned his upcoming birthday, and the group had a small party on the bus to celebrate. Now, 25 years later, this group of former strangers are close friends. The group has around 20 members, including spouses. Throughout the years, they have created a strong support network, celebrating the births of grandchildren and supporting each other through illness. They also spend time with one another outside of the bus, having monthly dinners and a Christmas party. 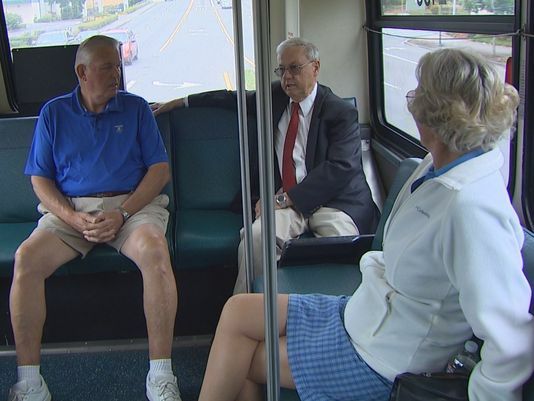 While some riders have complained about the group, wanting a quieter bus ride, the members have been unfazed. They believe that the complainers are missing out on meaningful human interaction.